Over the years, teaching methodologies have remained very much the same: educators provide lessons from a curriculum, students learn this information, they are then tested on the knowledge gained and given a mark. At the same time, we live in a world where technology is at the heart of everything we do and how we live – we are constantly introduced to a plethora of devices and solutions that can completely transform our daily lives. This explosion of technology in the 21st-century promises to improve and simplify our lives at home and at work. Why is it then not the case in education? Traditional teaching methodologies may never become redundant as it remains vital to learning, but why not supplement traditional teaching with the best that the digital world has to offer? By using some of the most beneficial aspects of technology, the teaching and learning landscape can truly be transformed to benefit students. Blending the traditional with the technological can create next-generation education which is driven by integration. Speak to any parent about the quantity and quality of homework these days, and the common sentiment is one of bewilderment, confusion, and overwhelm. Subjects have changed, the way Maths is done has changed, and it seems that even history itself has changed. Parents are expected to assist their children with homework, but do not necessarily have the tools and/or knowledge to do so. 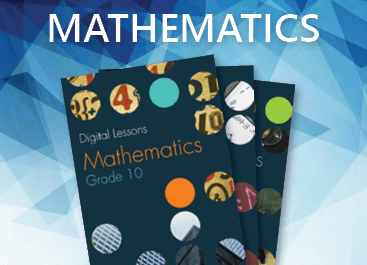 Fortunately there is help available: Digital Lessons – a collection of thousands of highly interactive digital resources covering Maths, Physical Sciences, Life Sciences and Natural Sciences. These lessons supplement existing learning materials as offered by the school and are aligned with the South African curriculum, making it easy for educators to integrate it into their study programmes. For a student, Digital Lessons provide a variety of top-quality videos, animations, images and simulations that present their topic of choice in an attractive and engaging way. Detailed feedback that pinpoints knowledge gaps help students to take charge of their own learning journey. This allows 21st-century students to become Entrepreneurs of Learning, rather than passively trying to take in information. The efficacy of Digital Lessons is found in the attractive, stimulating and enjoyable way that content is presented. To find out more, check out Digital Lessons on the ITSI Store here.